The 2018 IFTA Film & Drama Awards were announced Thursday, January 11th, celebrating the best of Irish film and drama from this year’s productions. In the build up to the awards, which will take place on Thursday, February 15th, IFTN will showcase some of the most interesting categories and productions, as well as bringing attention to some new faces that have made a name for themselves in 2017. This article will be focusing on the Short Live Action category, which was won by the viral sensation ‘Heartbreak’ last year. Written and performed by Emmet Kirwan, and directed by Dave Tynan, this powerful short, passionately spoke of the topical and controversial subject matter of abortion in Ireland, and help open a dialogue to discuss reform and to encourage further efforts to protect the women it affected. Short filmmaking is a hugely influential and important aspect of the Irish film industry, which boasts a strong track record of Short Live Action filmmaking at the highest level, with Benjamin Cleary, Terry George/Oorlagh George, and Martin McDonagh picking up Oscars in the past decade. This year’s nominees include: ‘Cry Rosa’, ‘For You’, ‘The Secret Market’, ‘The Tattoo’, ‘Time Traveller’, and ‘Wave’. A young girl struggles with an alcoholic mother, her environment and entering adulthood, until an act of devotion from her boyfriend offers relief and the strength to love. Dr. Amy McCarthy has risen through the medical ranks to become chief surgeon. She has a near perfect life until her past comes back to haunt her. 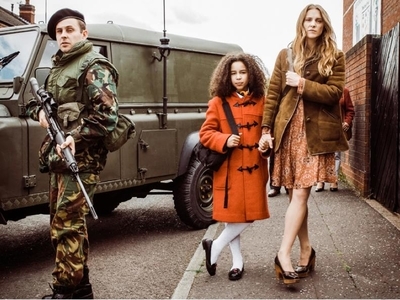 Starring Victoria Smurfit, Tadhg Murphy, Mark Huberman, Camille O'Sullivan, Jonathan White and Eric Lalor. 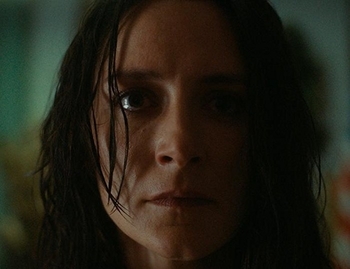 Featuring cinematography by James Mather and music by Brian Byrne. A Holocaust survivor working in a New York funeral home in 1980 makes a life changing discovery. New York, 1980. Anna Meyer can't remember her past. A survivor of the Holocaust, she is haunted daily by the survivor's mark on her arm - a concentration camp tattoo. What begins as a crisis for Anna will take her on a journey of self discovery, acceptance, and redemption. A 'Back to the Future'-obsessed traveller boy strives to finish building his own DeLorean replica before his family are evicted from their halting site. Time Traveller won best Irish short at the Foyle Film Festival 2017. A man wakes from a coma speaking a fully formed but unrecognisable language, baffling linguistic experts from around the globe. 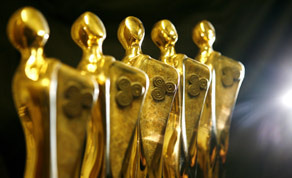 The IFTA Film & Drama Awards take place on Thursday February 15th at the Round Room in Dublin.